Wellington Santos is a 1986 graduate of The American Musical and Dramatic Academy of New York, where he studied Clown Theater with John Towsen. 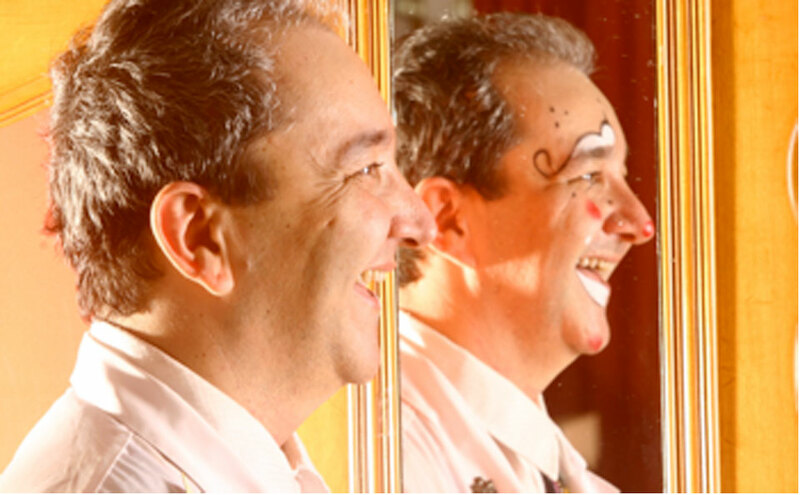 Besides working in Theater and Film, he discovered a new form of artistic intervention when he joined The Big Apple Circus Clown Care Unit and started working as a clown doctor, bringing joy to hospitalized children, their parents and healthcare workers. That experience brought him a new take on every aspect of performance and in 1991 he returned to his native Brazil to start a sister program, Doutores da Alegria (Doctors of Joy).22 years later, Doctors of Joy is considered one of the top Brazilian social organizations, reaching 100% of the Brazilian territory through their variety of programs. Ashoka fellow (Social Entrepreneurs for Social Change), he also wrote The Book of Second Aid, for children, and The Invisible Side of Life, about his experience as a “clown doctor” in hospitals. Also writes articles and speaks at events and corporations on topics ranging from the role of joy in life to social entrepreneurship.As an actor, can be seen in the movies “Signs of Life”, with Kathy Bates and Beau Bridges (US); “Sábado”, by Ugo Giorgete; “Alô?!”(Hello?! ), “Avassaladoras”(Overwhelming Women) and “Doctors of Joy- The Movie”, all by Mara Mourão, by which he was awarded Best Actor in the SESI-FIESP Movie Award. In the theater, he can be seen as MC Calvin Clown in Midnight Clowns (Doutores da Alegria), in Ópera das Pedras (Opera of the Rocks), directed by Lee Breuer, as Mal Beineke in the Brazilian production of Addams Family, directed by Jerry Zarks and, recently, as King Herod in the Brazilian production of Jesus Christ Superstar, directed by Jorge Takla.Wellington was awarded, in 2014, the Fellowship4Good from The Institute For The Future (www.iftf.org), in Palo Alto, to research the connection between JOY and WORK.